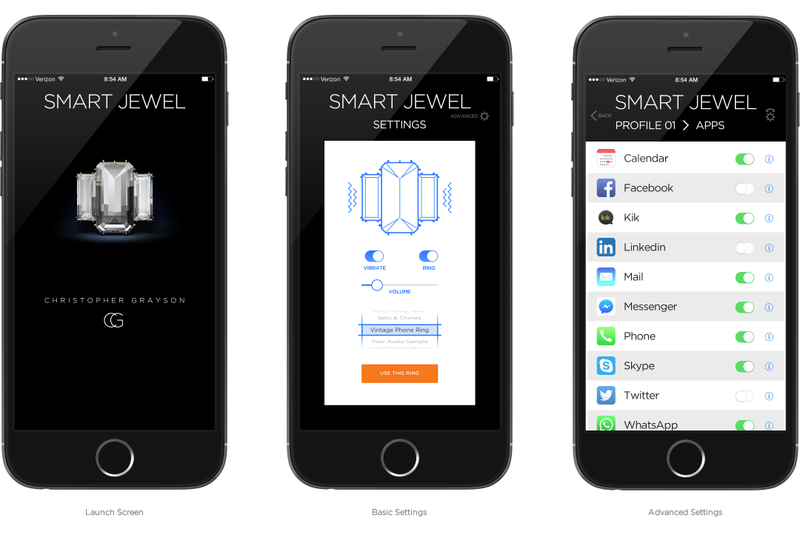 The SMART JEWEL is an alerts and notification system discreetly embedded in jewelry that pairs with a woman’s smartphone. 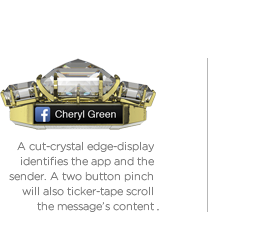 SMART JEWEL solves the “purse problem.” Most women carry their phone in their purse. Periodically they check their phone for messages, expected or missed. One recent study has shown that a typical smartphone user checks her phone on average 110 times daily. 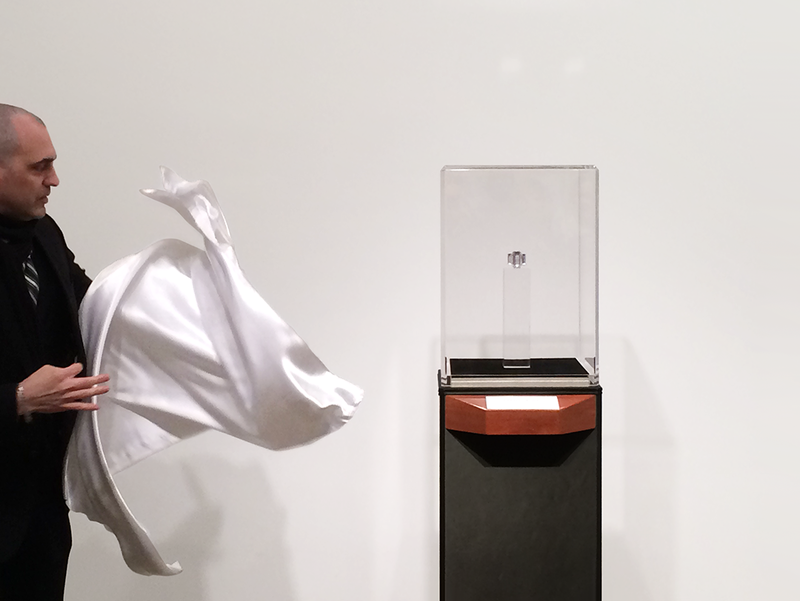 The SMART JEWEL can either be worn as a pendant on a necklace, or be attached to purse or clothing via a provided clip. 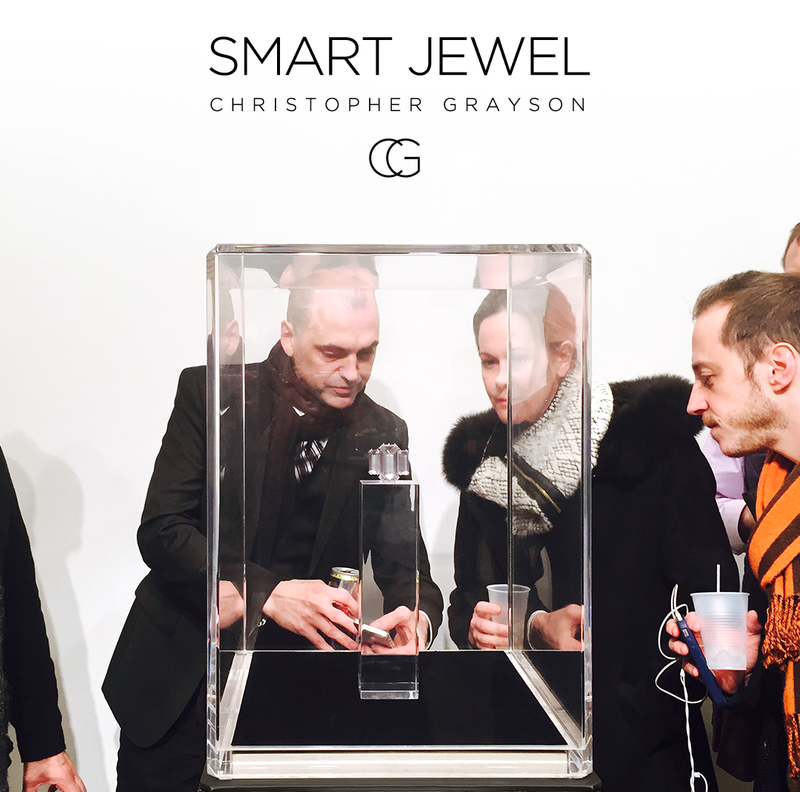 On Monday, February 9th, Lyons Wier Gallery hosted the unveiling of SMART JEWEL by CHRISTOPHER GRAYSON, courtesy of advisor, Michael Lyons Wier. A gracious thank you to all those brave enough to venture out in Monday’s “wintery mix” snowstorm to support us. I was introduced by friend and advisor, Kelly Hadous, of Win The Room. I took the crowd through my own personal journey, the building of our team, and the launching of the company at Zero Power Smart Fashion, during September 2014’s New York Fashion Week. 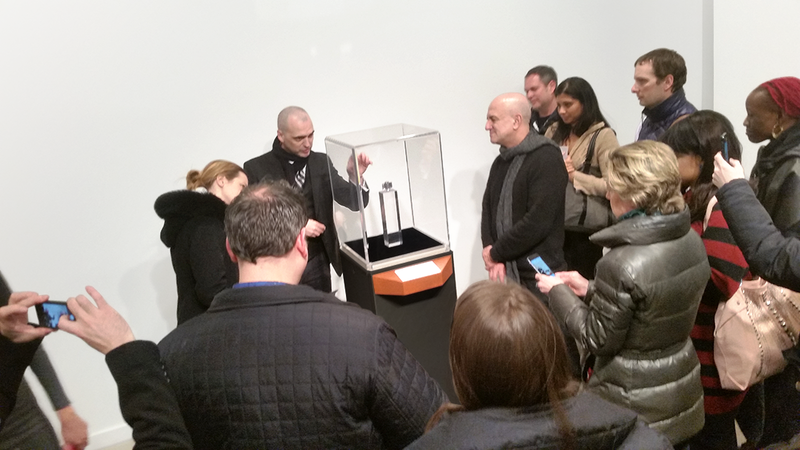 I then took the audience through the development we’ve undertaken since, including various stages of prototypes. 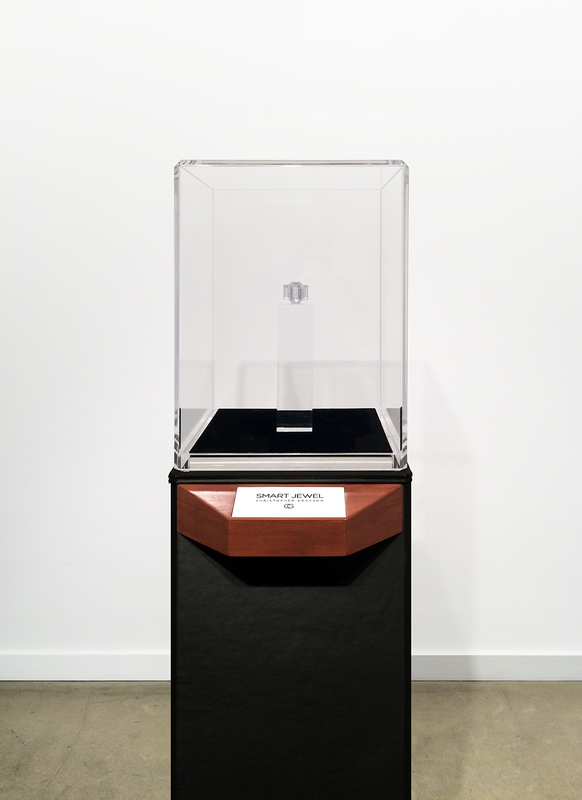 With a request for no cameras, I also shared CTO Craig Janik’s latest work, our miniaturized circuit board — then unveiled the SMART JEWEL. Photos above by Sabine Feldmann, Sonya Spann and Ernest Burden III.